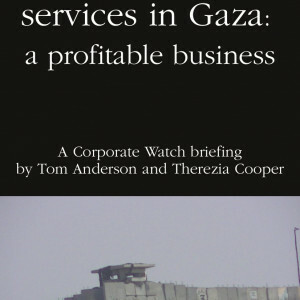 This briefing, exposes what makes corporations tick, legally: the advantages they gain and the parameters within which they operate. How did this situation come about? What changes could mitigate or reverse the negative effects of current corporate legal structures? 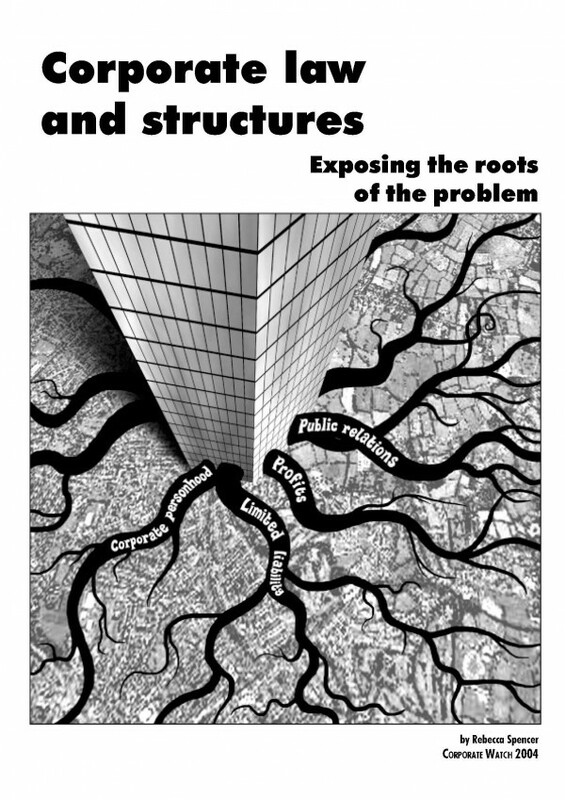 Corporate Law and Structures – Exposing the Roots of the Problem is the first in our series of reports on corporate power and corporate structures. Regular CW readers will already know that we think the problem with corporations runs deeper than a little bad behaviour. Now, for the first time, our new briefing offers an in-depth look at the basic structural problems which lead corporations to commit such widespread crimes against society and the environment. Company directors’ most important legal duty is to ‘act in the best interests of the company as a whole’ and that ‘the company as a whole’ means no-one but the shareholders? This duty is interpreted in court to mean making as much money for shareholders as possible and continuing to make money in future. Theoretically directors can consider employees’ interests as well, but the employees can’t force them to, so directors tend to forget. It is actually unlawful (i.e. outside what they lawfully should do) for directors to consider the interests of society and the environment in any way which conflicts with making money. This basic fact gets to the bottom of why corporate social responsibility (CSR) doesn’t work: CSR relies on companies voluntarily doing the right thing – but legally they can’t. In the UK, corporations have the same legal standing as human beings – they can own property, bring legal cases, own shares in other companies, be directors of companies, even solely own other companies. Under the 1998 Human Rights Act, companies can claim rights to a fair trial, to privacy, to freedom of expression, and to ‘enjoyment of property’. All of this makes it extremely difficult to attack corporate power in the courts, since companies not only have these rights, but can afford to pay the best lawyers to defend and extend them. It is extremely difficult to hold companies responsible for crimes or civil offences because large companies structure themselves (legally) so that legal liability falls on subsidiaries rather than the parent company – it is almost as difficult to sue a parent company for a subsidiary’s acts as to sue a shareholder for a company’s acts. Thus paying for the cost of company activities – cleaning up oil spills for example – falls on society instead of the company. 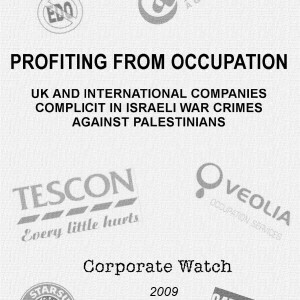 All of this and more is explained in detail in the briefing, along with discussion of how corporations use the mythology of CSR to pretend to be ethical ‘citizens’; how company decision-makers avoid admitting responsibility for company crimes; and most importantly, what changes could be made to company structures to make them work in the interests of society rather than the interests of money. This structural analysis takes us beyond calls for regulation (if companies don’t want to keep to regulations, their main effect is to make yet more work for lawyers) and into a new questioning of what our complex modern economic institutions should be trying to do. Getting there will require time and a fundamental shift in power across society. Let’s start it now – read the briefing, tell your friends, inform your activism!